How to prepare for SSC CGL 2018 – The Tier 1 exam of SSC CGL is scheduled to be conducted from June 4 to 19, 2019. With the exam fast approaching, it is imperative for candidates to know how to prepare for SSC CGL 2018. To crack the most coveted examination, SSC CGL, candidates must give proper attention and time to each section. This article on how to prepare for SSC CGL 2018 will help candidates to know the section-wise tips and tricks, important topics for the exam, best books to prepare, section-wise weightage of topics, importance of mock tests etc. Over 15 to 20 lakh candidates appear in SSC CGL exam every year. Therefore, it is highly competitive exam. Candidates should prepare smartly to crack SSC CGL exam. Given below are few tips that will aid candidates preparation for SSC CGL 2018. Let us have a look at SSC CGL 2018 exam pattern before moving to How to prepare for SSC CGL. The exam will be conducted in four stages – Tier 1, 2, 3 and 4. While, Tier 1 and 2 will be conducted in computer based mode, Tier III is pen and paper based test and Tier IV is skill test. The Tier 1 comprises four sections - General Intelligence & Reasoning, General Awareness, Quantitative Aptitude and English Comprehension. There will be 100 questions of 200 marks. Candidates will get 60 minutes to complete the paper. Candidates for correct answer will score 1 mark while 0.50 marks will be deducted for wrong answers. The Tier 2 exam consists of four papers. Paper I and II is common for all the posts while Paper III and IV is for Junior Statistical Officer (JSO) and Assistant Audit Officer/ Assistant Accounts Officer. There will be total 500 questions carrying 800 marks. The exam is held for 120 minutes. The Tier 3 of SSC CGL is a descriptive test of 100 marks. This tier tests a candidate’s writing skill which is necessary for government job. The Tier IV comprises Data Entry Skill Test (DEST) and Computer Proficiency Test (CPT). Now that candidates understood the exam pattern, let us carve out how to prepare for each section of SSC CGL exam. How to prepare for SSC CGL General Intelligence and Reasoning? In General Intelligence and Reasoning section, candidates should try to strengthen their basics as this section tests conceptual and factual knowledge. To master Reasoning, candidates need to practice regularly. As per experts, this section is easy. General Intelligence and Reasoning section comprises three to four questions from Classification, Coding-Decoding, Analogy, Venn Diagram, Series and Non-Verbal Reasoning and one to two questions from Word Formation, Direction & Distances, Missing Number, Blood Relations, & Verbal Reasoning. There will be around 5 questions from Visual Reasoning. 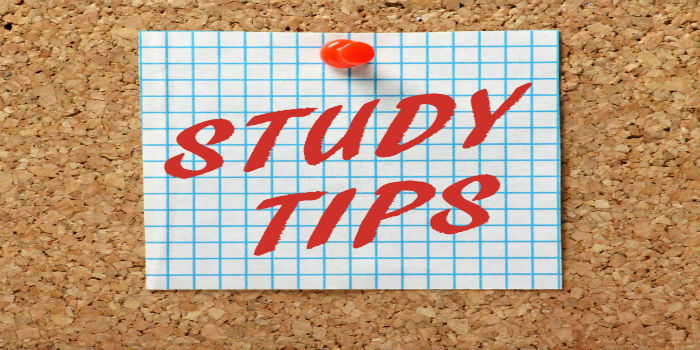 To begin with, candidates have to study topic-wise. Candidates can easily score more than 45 marks in this section. They are required to attempt more than 22 questions. How to prepare General Awareness Section in SSC CGL? Questions in General Awareness are asked from Politics, History, Geography, Economics, Current Affairs, Sports and Miscellaneous. For this candidates need to read newspapers and magazines. Mayank Garg, Mentor, Career Launcher said, “General Awareness of SSC CGL is very vast. Candidates should focus on polity and current affairs. As per previous years’ question pattern, there are 4 to 5 questions on Current Affairs in SSC CGL exam. The Science section carries 6 to 7 questions. Candidates should attempt 12 to 15 questions correctly in General Awareness section. Candidates should identify the topics of their interest and prepare that first to gain maximum marks”. How to prepare Quantitative Aptitude in SSC CGL 2018? How to prepare for English Comprehension in SSC CGL 2018? This section basically comprises topics from Vocabulary, Grammar and the Text Comprehension. For vocabulary candidates should learn new words, memorise the spellings and look for their synonym and antonym. For Grammar, prepare a table of tenses and their rules, active and passive, direct and indirect and other important grammar topics. Candidates must have hold on Grammar to solve questions like cloze test, error spotting, fill in the blanks. Apart from practice, they must read newspaper, magazines etc. Practice narration and voice in this section. Most of the questions asked in the exam are based on specific concepts that are asked every year. Candidates need to solve previous years’ SSC CGL question papers to identify such concepts. Solving previous years question papers is one of the the key to success. There are four sections in SSC CGL exam. Candidates should decide which section to pick first in the exam. They should choose those sections from which they can attempt maximum questions with accuracy in given duration of time. Time management is important to do well in the exam. Candidates should solve the questions within the given time frame and with accuracy. Devote 5 to 6 minutes for General Awareness section. Solve English comprehension section in 10 to 12 minutes. General Intelligence & Reasoning section should be solved within 15 to 17 minutes. Dedicate rest of the time in solving Quantitative Aptitude section. Attempt the easy to questions first before proceeding to the difficult ones. Avoid attempting lengthy questions. Candidates should study regularly to do well in the exam. Divide time wisely for all the sections. Study at least three to four hours on daily basis. Candidates should attempt mock tests on a regular basis to score good in the exam. Proper analysis of the performance will help candidates to figure out the mistakes. Candidates should attempt one mock test in a week in the beginning of preparation. The syllabus has been prescribed by the exam conducting authority, SSC. It covers the topics for Tier 1 and 2 exam. Check below SSC CGL syllabus for Tier 1. Candidates can refer to the books given below for SSC CGL exam. These books have provided study material based on the exam pattern and also have detailed solutions. Lists of SSC CGL important topics that candidates must prepare for the exam are given below.